We are currently in an era where the live-action remake is king and the latest film to take on the trend is Disney’s Aladdin. 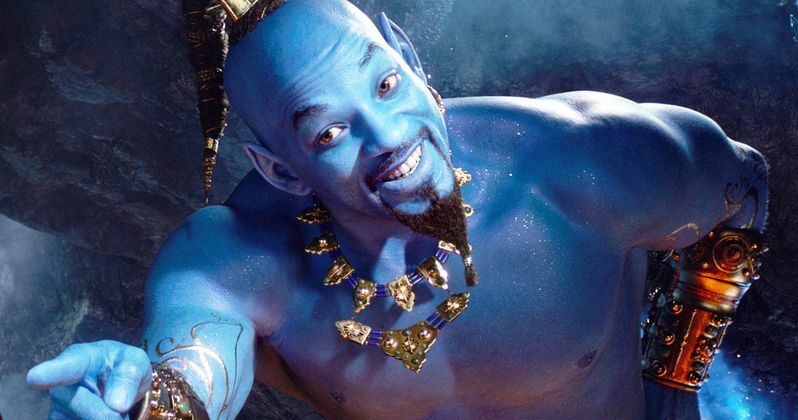 After quite some time of bubbling anticipation, the studio has released a new teaser to preview the film, which stars Will Smith as the famous genie. Previously, fans were gifted with a teaser in October of the forthcoming film but weren’t privy to any sighting of Will Smith as the genie originally voiced by the late Robin Williams. In this new clip, however, the dynamic shifts as the CGI-produced character make an appearance for the first time. Other members of the cast, led by director Guy Ritchie, include Mena Massoud as Aladdin, Naomi Scott as Jasmine, along with Marwan Kenzari, Nasim Pedrad, Billy Magnussen and Numan Acar. When it first arrived in 1992, Aladdin became the first animated film to reach the half-billion mark and was the highest-grossing animated film of all time until it was eclipsed by The Lion King. Aladdin follows on the heels of other Disney films that have taken on the live action approach, with varying degrees of success, such as Maleficent, Beauty and the Beast and The Jungle Book. Fans can also look forward to remakes of The Lion King, Dumbo and Mulan. Aladdin arrives in theaters on May 24th.